Black Aluminum Tool Case Free Shipping black aluminum tool case [6007_B] - $47.99 : MegaDiscStore, Your choices of High quality CD DVD Blu-Ray Replace cases! This ultra-handy Multi Purpose tool case is perfect for store and carry your Tools, Camera, Hand Gun and other small equipments. 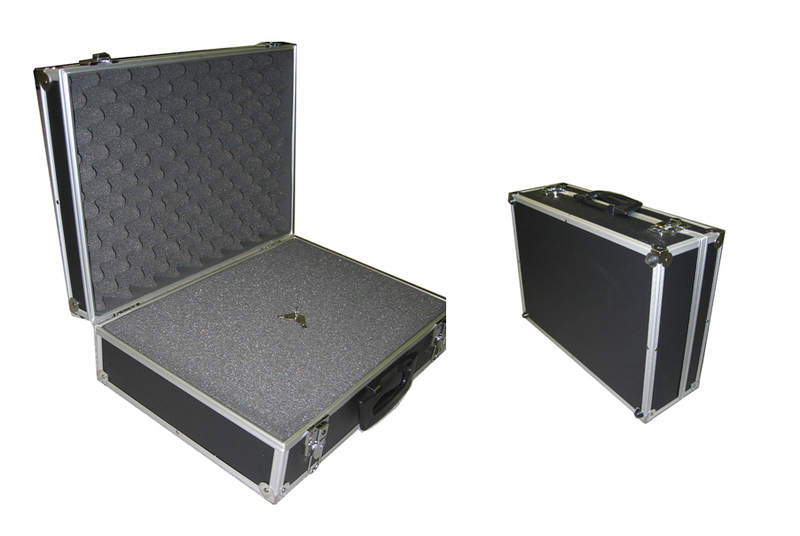 Featuring a sturdy aluminum frame and High strength PVC panels, pre-cut high density foam and strong plastic handle, this case will allow you create a custom holder for your tool kit to ensure your equipments relatively static when you carry the case. Inside foam pre-cut into around 1X1 cm, you can easy to pull some of the small piece foam out to make a exactly shape to squeeze tight of your Tools or other equipments. Riveted chromed metal corners to protect this case in collision. Two chromed lock comes with two sets of the key. Silver Aluminum frame/Black PVC panel. Overall: Length 18 1/4" Width 14 1/4" High 6 1/2"
Internal:Length 17 3/8" Width 12 1/4" Depth 4 1/2"
Net Weigh: 6.0 Lbs Approx. Free shipping for Canadian and US shipping address only, the customers from other country please call for the quotation.